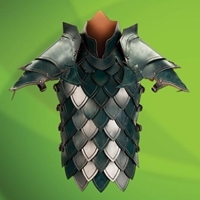 This green Elven battle armour has heavy deep green leather scales and 12 adjustable buckles, making this armor both form-fitting and comfortable. 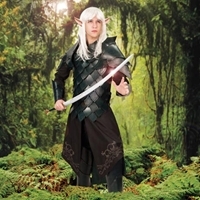 Complete the outfit with matching elven vambraces and the elven tunic to wear underneath (both sold separately). Comes in two sizes, small/medium or large/x-large.